The Zika virus is carried by mosquitoes and people, but usually spread by mosquitoes. Zika is an RNA virus related to the West Nile, yellow fever, and dengue viruses, and caused by the bite of the Aedes mosquito. 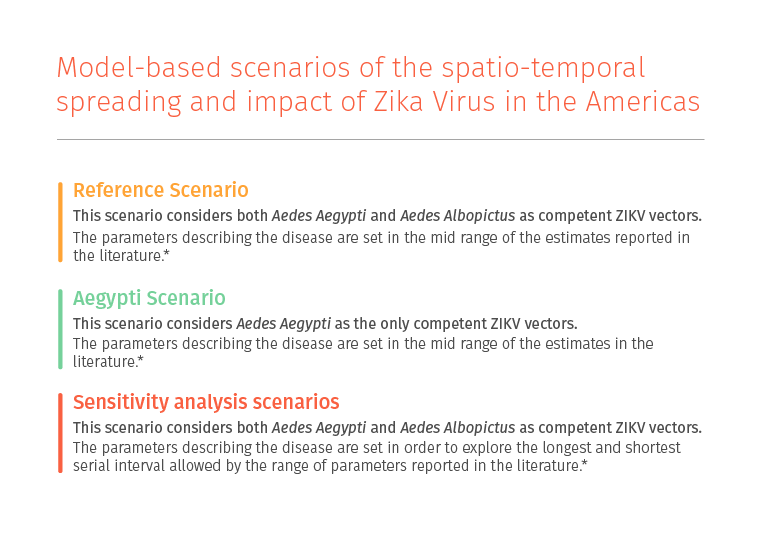 ❗ "Projections of Zika virus local transmission in the Continental US"
The analysis provided here should be considered preliminary and motivated by the need for a rapid assessment of the possible trajectories of the Zika epidemic in the Continental US. 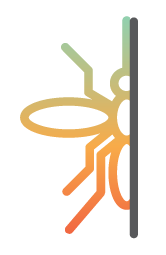 The model contains assumptions and approximations unavoidable with the current lack of precise data on Zika, and a thorough sensitivity analysis analysis concerning the model calibration is ongoing at the moment. * Details on the model calibration for each scenario and the range of parameters are reported in PNAS 2017 114 (22) E4334-E4343. © 2016 MOBS Lab at Northeastern University Contact us.